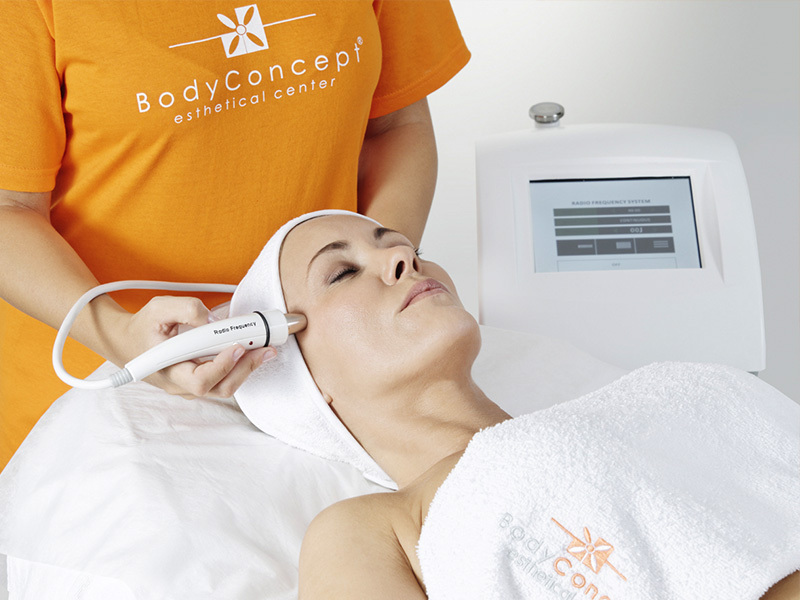 Through the use of electromagnetic energy, Radiofrequency causes a superficial diathermy in the area where it is applied. The increase in temperature activates the local microcirculation and stimulates the production of new collagen fibers, giving a greater elasticity and firmness to the skin. Indicated for wrinkles and sagging treatments, body and face, Radiofrequency treatment also promotes volume reduction and helps regenerate scars and stretch marks. Application: application of a conductive gel in the area to be treated, followed by a massage of specific firming movements, with the equipment’s head.